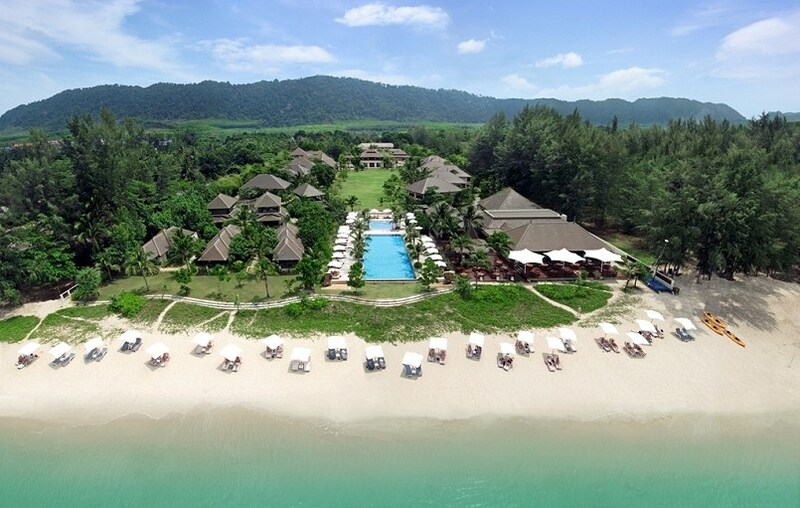 The Layana Resort and Spa is nestled on Koh Lanta Yai Island in Mu Koh Lanta National Park. The park is a marine archipelago, home to verdant tropical rainforests and undersea kingdoms of colourful coral rich in natural marine diversity. The resort enjoys a spectacular beachfront location on a 3-kilometer long white sand beach, situated about 2 hours south of Krabi International Airport. Environmentally-conscious design throughout the property results in a simple and elegant Thai atmosphere; alfresco architecture combining with contemporary design to provide an open, cool and natural feel. Photo copyright Layana Resort & Spa. A haven of pampered indulgence, tranquil vistas, manicured landscapes and personalized service. Here warm turquoise seas gently lap white sandy beaches showcased by lush green vegetation and soaring blue skies.